Call for papers, demonstrations and performances for the International Conference: Amateur (? )Theatre Practices and Culture Heritages 17-18 June 2019 – Berthelot Thêatre Municipality of Montreil Paris . 17-18 June 2019 – Berthelot Thêatre Municipality of Montreil Paris . Department for Acting and Drama Directing at mdw – University of Music and Performing Arts Vienna. As this opportunity is posted on the mdw website in German, please see the English version in the attached pdf. I just founded the Frankfurter Bewegungschor (Frankfurt Movementchoir). We meet regularly in different locations – inside and outside – and improvise. Workshop coming up on the beautiful island of Amrum/Germany: 28th of April – 1st/2nd of May. 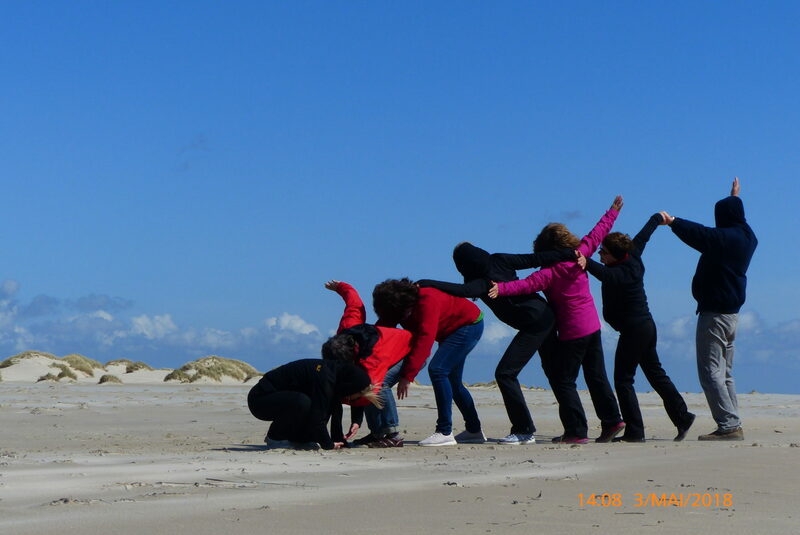 Learn about creative use of LMA and participate daily in movement choirs on the beach in the woods. Clips from a research & development workshop at Rose Bruford College, in January 2019, as part of The Evolution Project R&D, led by Vicky Wright.